National regeneration experts have visited Redrock following the announcement that that the popular leisure destination is on the shortlist for a prestigious ‘Revo Gold Award’. Attracting over 750,000 visitors since it opened a year ago, Redrock has proven an instant hit with families, friends and work colleagues. Each day thousands of people are choosing to head to Stockport to enjoy a meal and film at Redrock before exploring the rest of Stockport, bringing a new vibrancy to the whole town centre. 120 new jobs have been created which many local people are benefitting from. An ever growing number of businesses, restaurants and shops are choosing to move into neighbouring streets helping parts of the town centre thrive once again. 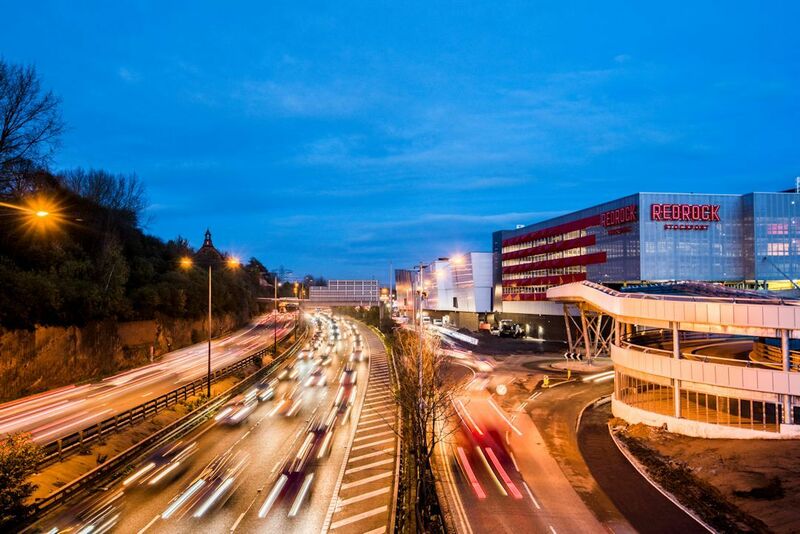 Redrock’s success is contributing to a growing view of Stockport as an exciting place to live, work, play and invest. More investors than ever before are looking to come to Stockport and how they can play a part in the transformation taking place across the town. Commenting on the visit and the award shortlisting, Councillor Kate Butler, Stockport Council’s Cabinet Member for Economy and Regeneration said: “Redrock has been an instant success since it opened its doors, with visitor numbers in the first year double those that were predicted. It was always our vision that Redrock would bring significant benefits for the whole of Stockport town centre and this has proven to be the case from day one”. The winners of the 2018 Revo Awards will be announced at an awards ceremony on 5th December 2018.